In every economic and political upheaval in the Philippines, Ilonggos have always survived since time immemorial. When the political situation turns wild and “wolly,” and deteriorates in Metro Manila, Ilonggos are unfazed; capitol and city hall officials offer their shoulders for one another to lean on. This happened during turbulent moments of administrations before and after the EDSA revolution. When natural calamity hits the country, Ilonggos are ready, lock, stock, and barrel for any emergency assistance in terms of manpower, goods, and food supply. Ilonggos are deeply religious and they attribute everything that provides them relief and comfort to Divine Providence. 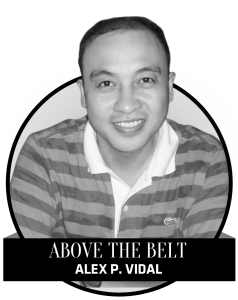 Also, unlike other elected officials in the Philippines who justify immorality – and even parade their inamoratas in public – Iloilo City and province have been blessed with the mostly “morally upright” leaders. We remember 18 years ago, in a speech during the “Kruzada Kontra Sa Druga” at the Iloilo Amphitheater on September 14, 1999, Governor Art Defensor warned Ilonggos that a country, a territory, a city, or province can only deteriorate if it is already in the threshold of moral shambles. Defensor was talking about the period of the Principate, the age of moral decay during in the Roman Civilization. Divorce among the upper classes was so common as to be scarcely a matter of remark. According to the records, there were 32,000 prostitutes in Rome during the reign of Trajan, and, judging from the testimony of some of the most famous writers, homosexuality was exceedingly common and even fashionable. While political corruption had been subjected to more stringent control, crimes of violence appear to have increased. This was the period when shabu and other illegal drugs weren’t yet common. Moral indictment became serious which can be brought against the age. It was the further growth of the passion for cruelty; the great games and spectacle became bloodier and more disgusting than ever before. The Romans could no longer obtain a sufficient thrill from mere exhibitions of athletic prowess; even pugilists were required to have their hands wrapped with tongs of leather loaded with iron or lead. The most popular amusement of all was watching the gladiatorial combats in the Colosseum or in the other amphitheaters capable of accommodating thousands of spectators. Most of the gladiators were condemned criminals or slaves, but some were volunteers even from the respectable classes.